One of the most beautiful ways to decorate a garden, plus flowers, fountains and furniture, is placing statues and ornaments, for this reason then we bring you some of the most beautiful statues to adorn your garden. Also, if you are interested in any of these ornaments, we offer you the link through which you can make your purchase. 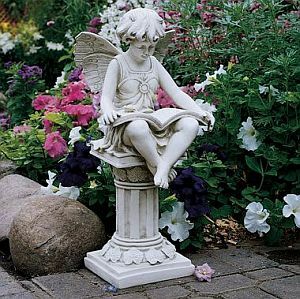 This is the Fairy of Reading ,Toscano Design , this is a little winged girl who has a book on the legs and sits on a column adorned with leaves. The measurements of this beautiful statue are: 9'' high x 9 1/2'' diameter x 21'' high. If you prefer, you can choose the statue Fairy of Flowers , is a winged woman with a crown of flowers and a big flower in hand, like making an offering, is certainly an article delicate and tasteful , measuring 13'' wide x 20'' diameter x 19 1/2 high . 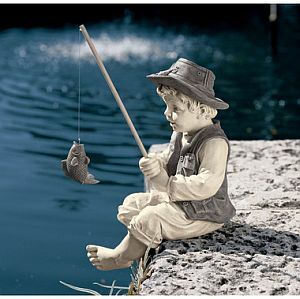 And do you think the idea of placing the statue Fisherman Child Frederic , at the foot of a fountain in your garden, so you can relive those moments, when a child, both of you enjoyed this activity. The measurements of this beautiful piece of art are: 9 1/2'' wide x 6 1/2'' diameter x 15'' high. 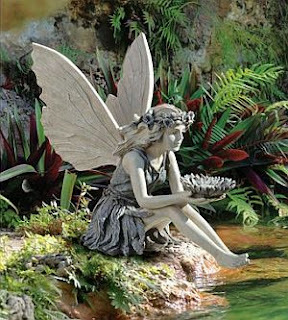 If you want your garden to become the ideal place to be calm and relaxed, it might be a good idea to place the Fairy Reflection , the same as it is with closed eyes, as if thinking about something. Her measurements are, 5 1/2 W x 11 1/2 in diameter x 8 1/2 high. 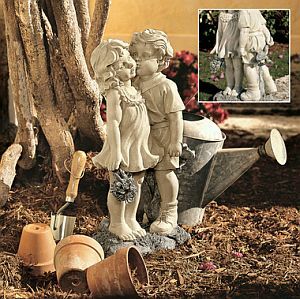 If you want your garden prevail and highlight the romantic spirit, sweet and tender, nothing better than this Kissing Children Statue , nothing more innocent and pure that this young couple giving a kiss on the cheek. Such measures are cute motif, 11'' wide x 8'' diameter x 22'' high.